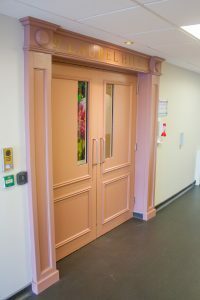 The Bloomfield Care Centre is a nursing home and mental health facility. 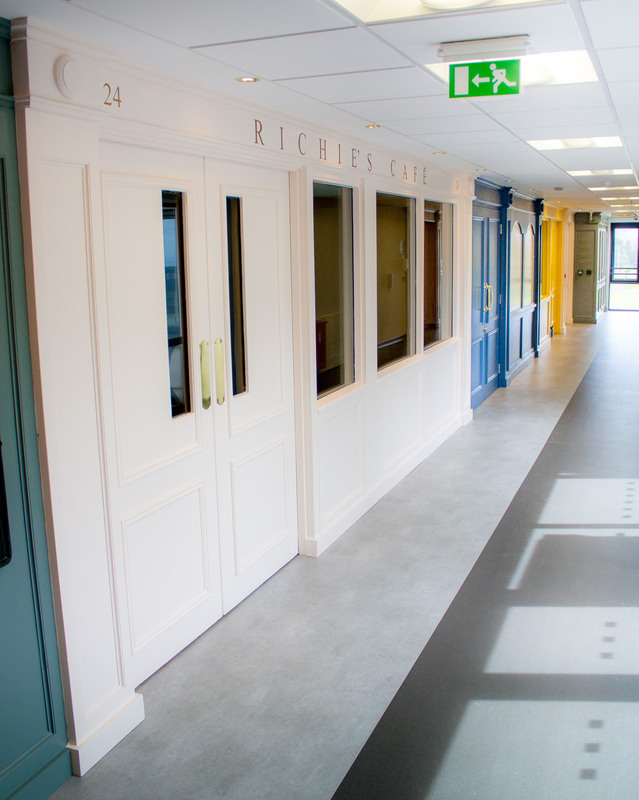 An innovative development took some inspiration from pilot projects in the Netherlands to improve the facility. 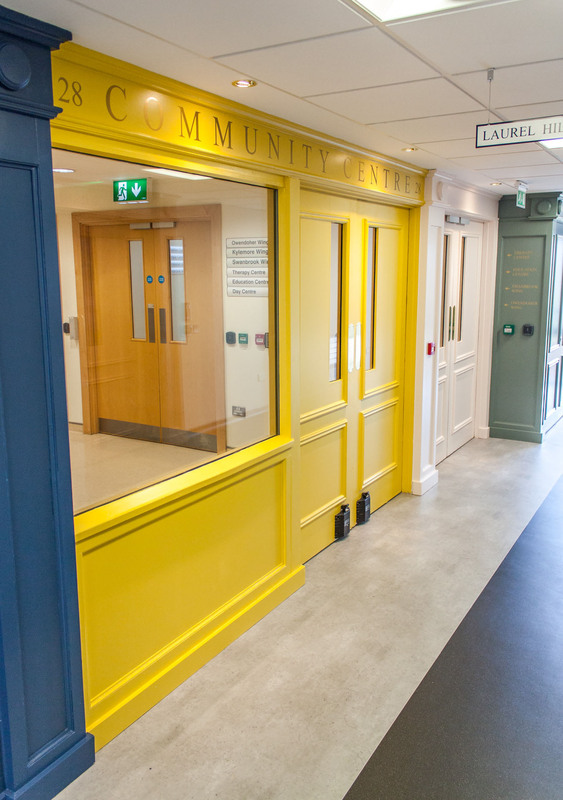 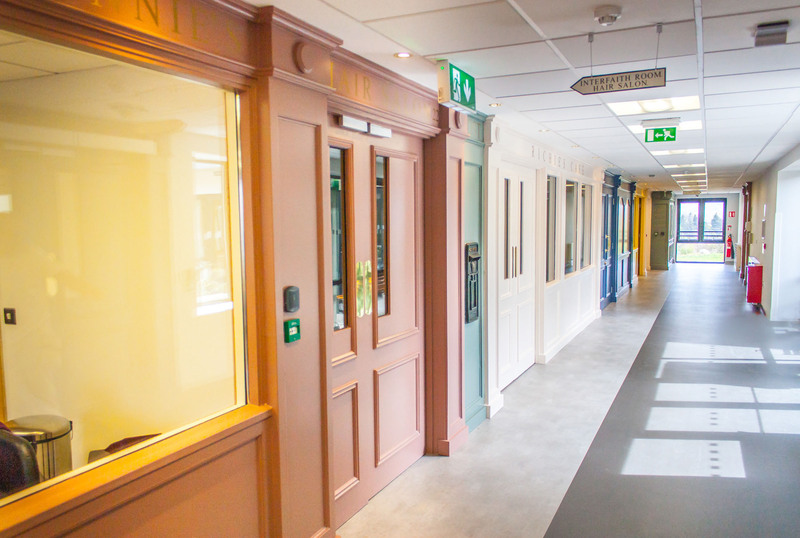 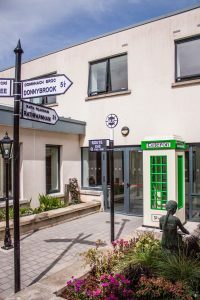 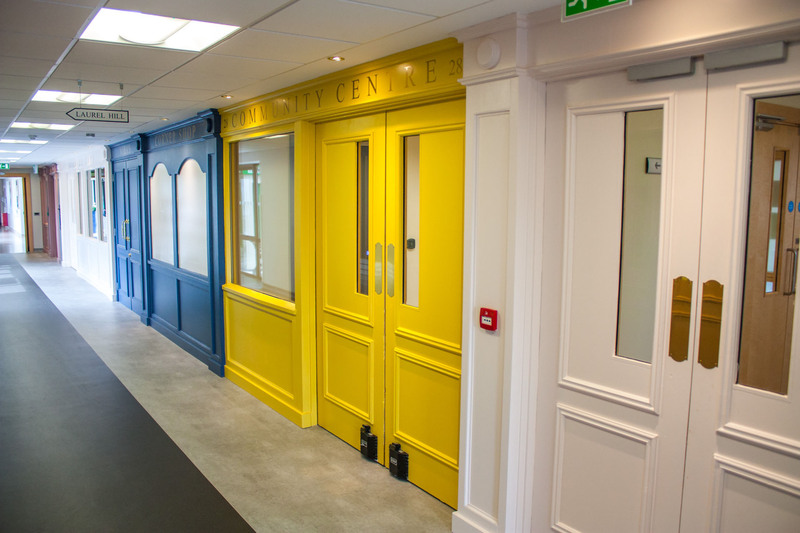 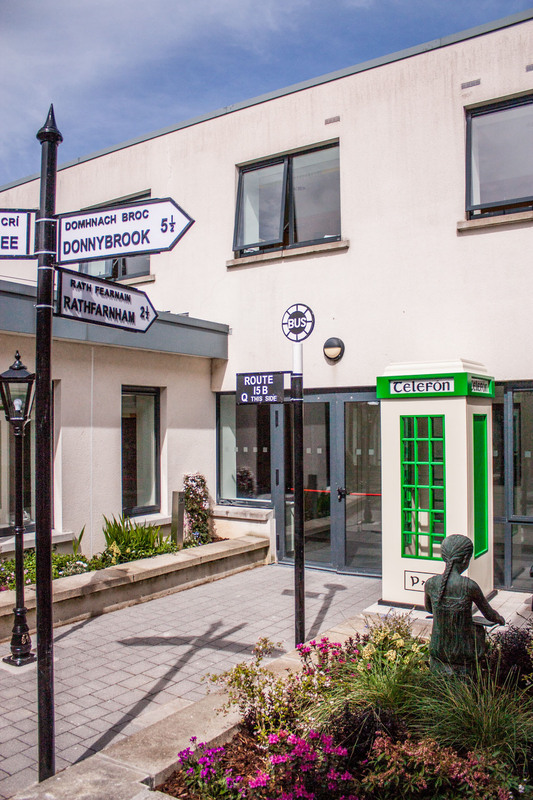 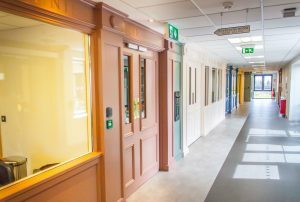 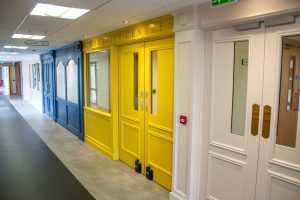 A section of the care centre was developed into a streetscape to include traditional style shops, shop fronts and items from the past in an effort to maintain a better quality of living for the residents. 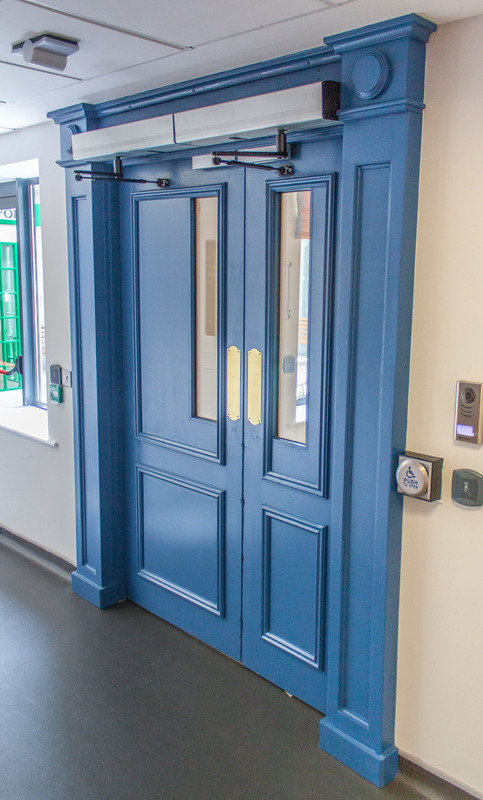 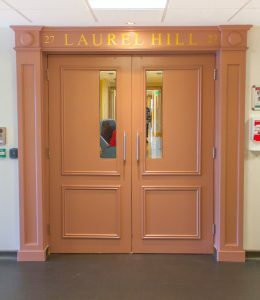 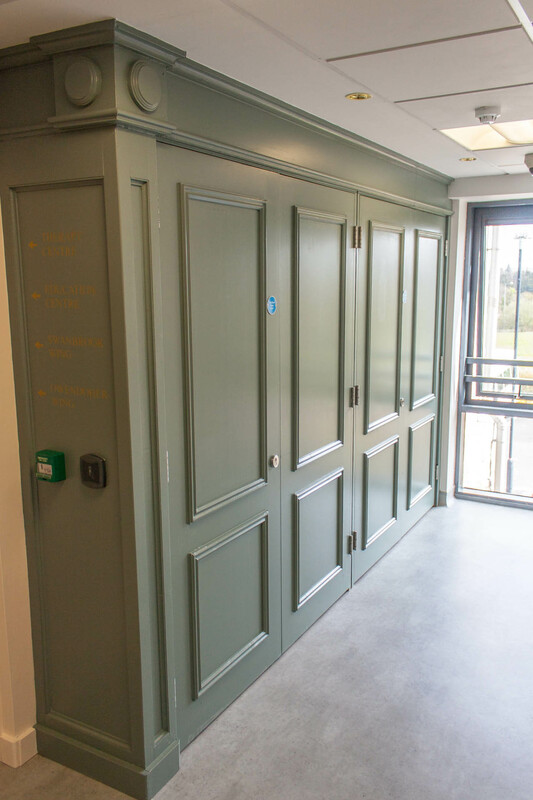 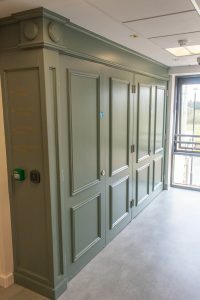 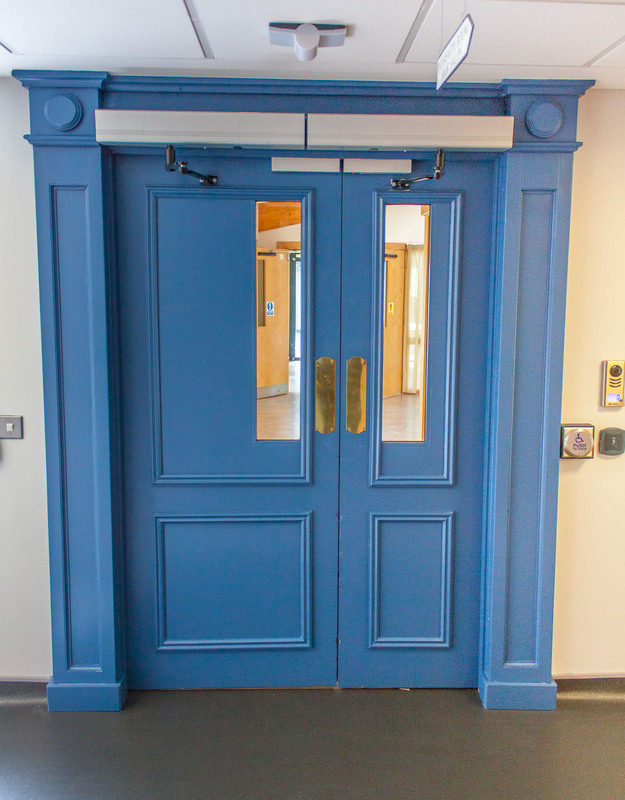 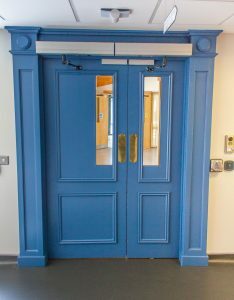 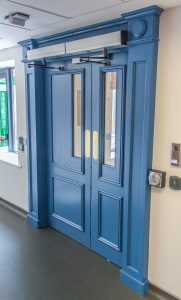 Features were made of the existing double doors by retrofitting moulding to relicate a traditional design. 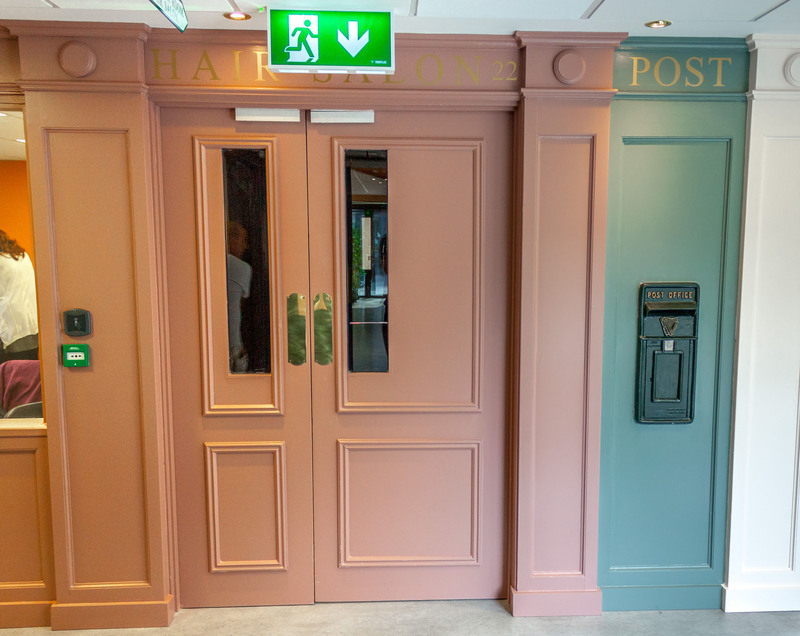 Pillars and signs were also added to complete the traditional look. 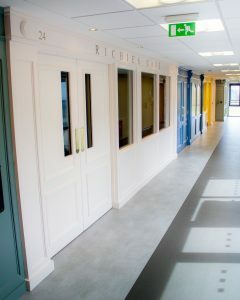 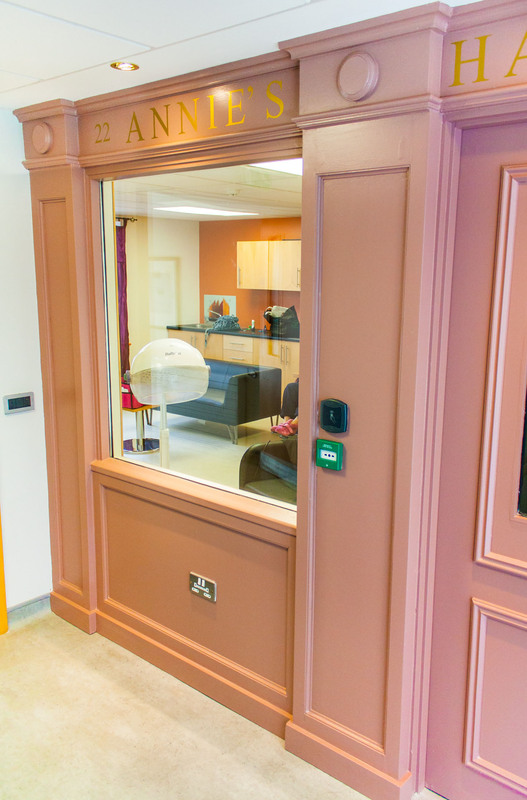 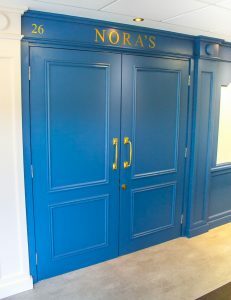 One side of the hall was completely refurbished with new shopfronts, including pillars, door molding, signs and notice boards. The traditional style shop fronts complete with functional vintage post box really help in creating an effective and realistic streetscape. 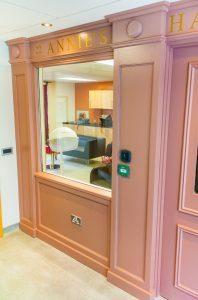 If you would like to know more information or have a similar project in mind don’t hesitate to contact us. Copyright Laurel Bank Joinery Ph: 087 2139519 / 042 9669998 ---- Laurel Bank Joinery Shopfronts, Corduff, Carrickmacross, Monaghan, Ireland.